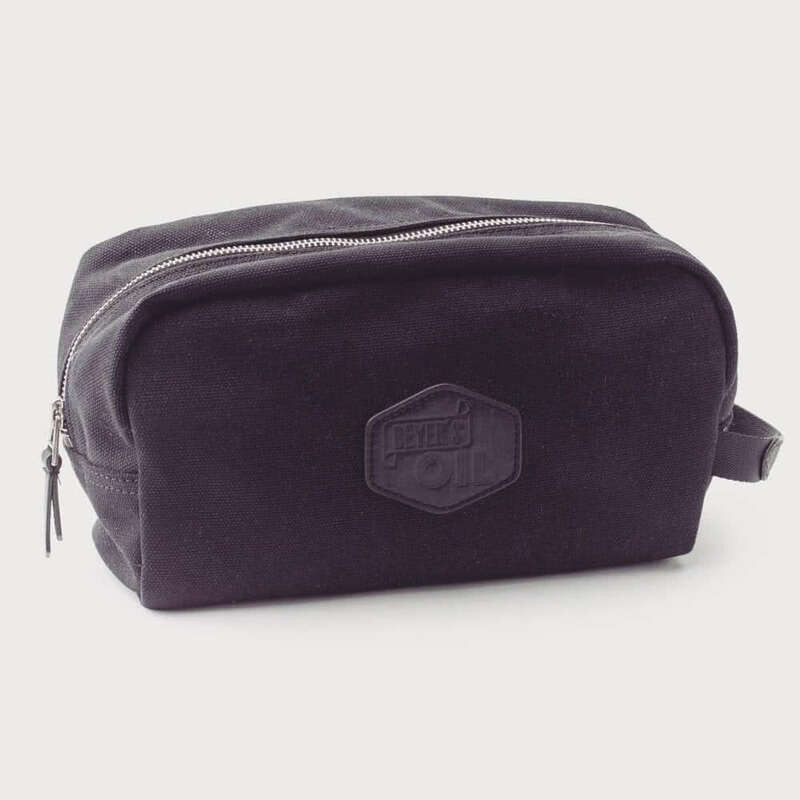 Beyer’s Oil Wash Bag. Black, with zip and interior pocket. Holds everything you need on the go. Made by Souve Bag Co from Munich.